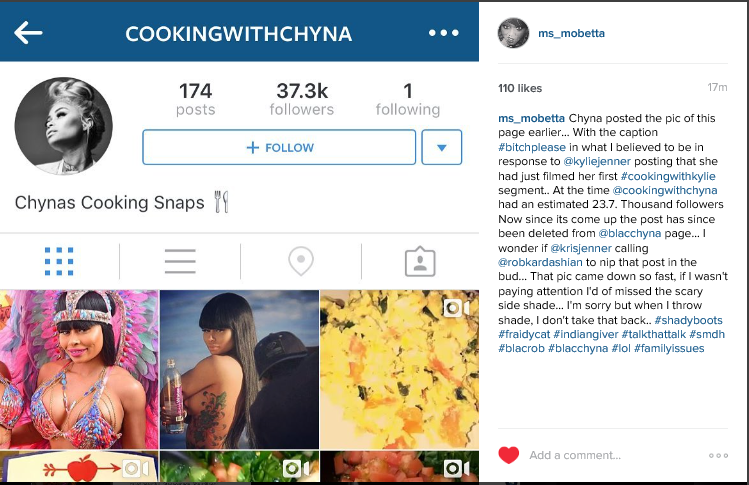 BlacChyna stop posting Shade then deleting. I’m for Chyna and Rob winning but your making this awkward for yourself & for those who support you when you post shade then delete without explanation. It’s like what is it that you want to do, work out a loving healthy relationship with your man family. Or one where you don’t care how they feel. Your true supporters will rock with you either way, but straddling the fence is getting annoying. I’d advise you not post anymore shady post til you figure this out for yourself.